Tuning the list to move a little bit faster. I play Zurgo a lot in 20 life, and I know that the format is very different, but in general we want to be doing the same things. In 20 life you can very reliably go for a heavy burn plan and have it work out well. This strategy is in my opinion very sub-optimal at 30 life. I think you basically want to be as heavy on the beatdown plan as possible. 30-life zurgo was basically a meta-gaming deck, if you see a lot of control decks, this is were you want to be, Green meta-game = not so much. From what I understand of the format for 1v1 commander online, it is heavily slanted to control(vial smasher etc), and somewhat combo (baral). This means that Zurgo is in a good spot, however if the Nissa/Azusa decks get very popular, or more hate bear style decks come up Zurgo will get much worse. Some of these are too slow(Wheel of Fortune, Skullclamp), some of there just aren't efficient enough for 30 life(Lava Spike), and some are just outright bad (Bomat Courier, Sin Proder etc.). What you want to look for in your cards is the following; repeatable sources damage (mostly in the form of creatures though artifacts and enchantments are great sources as well) or the ability for your instants/sorceruies to kill creatures as well as deal damage to players. Hero is essentially, Hellrider # 2 so it is great. Heelcutter is great at allowing you to spend you mana every turn, and also Superb against single blockers. Koth is just an outstanding card that allows you to diversify your threats in the face of wraths and can win games single handedly. These are efficent and you are already playing effective copies of 3 of the cards. 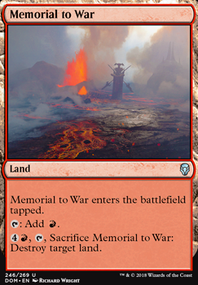 If you find yourself running into more blockers, or the meta game is more green, I would look to the following cards: Flametongue Kavu, Chandra, Torch of Defiance, Flame Slash, Mizzium Mortars, Roast. These are great at clearing paths for your creatures to get through uncontested. Personally I am not a fan of either Chandra, Pyromaster or Outpost Siege as they feel tough to maneuver around counterspells and are very slow against combo. As a result I would cut them and play Flame Slash and Forked Bolt (which feels great against many of the x/1 of the format). In terms of your mana base, if you are playing grim Lavamancer, you should be to play all the red fetches. Encroaching wastes should be wasteland (I'm sure budget is a big concern here but even still I would just cut it), Rishadan Port is another great land you aren't playing. Mutavault is excellent to help with flooding. Hellion Cruicible seems a little underwhelming, and honestly most of the creatures in the deck have hast so Hanweir Battlements seems like a pipe dream to try to meld, however I think it is mostly a free roll if you are dead set on playing it. Barbarian ring is another card you could be playing, and so is teetering peaks. I also tend to play 37 lands as it is roughly equivalent to 22 lands in 60 card decks, and you are trying to cast 4 drops in this deck but 36 should theoretically work. KaraZorEl on How can I hold all these goblins!?! hmmm. well I suggest taking out Vandalblast and Ruination along with the Adaptive Automaton and Quest for Pure Flame as well as Skullclamp and all special lands, except Nykthos, and add in cards like Battle Hymn, Barrage of Expendables, Lobber Crew, Goblin Chariot, Goblin Piker, maybe Nobilis of War, Goblin Roughrider, Goblin Shortcutter, Krenko's Enforcer, Quest for the Goblin Lord, Goblin Berserker, Goblin Balloon Brigade, maybe Ember Hauler, maybe Goblinslide, Lavastep Raider, Berserkers' Onslaught. trust me on this, I am a goblin master. I know how goblins work and know what does and does not work with them depending on the battle plan they use. from what I see here you want your goblins to multiply like crazy as well a light burn (I can see it from the Impact Tremors and Outpost Siege) so by having goblins that are cheap Krenko will bring out more miniblins (1/1 goblin tokens) faster. I like your strategy of having him hold Umbral Mantle so he untaps himself after bringing out miniblins so you can retap him to get more. very clever. 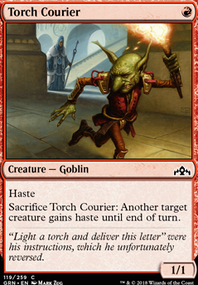 however you should take out Goblin Rabblemaster. 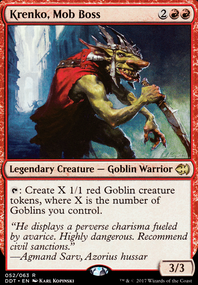 with him out you will be forced to attack every turn which would kinda ruin your giant goblin army since most of them they would most likely die. Bushwhack on Gobble Gobble: Budget Goblins! 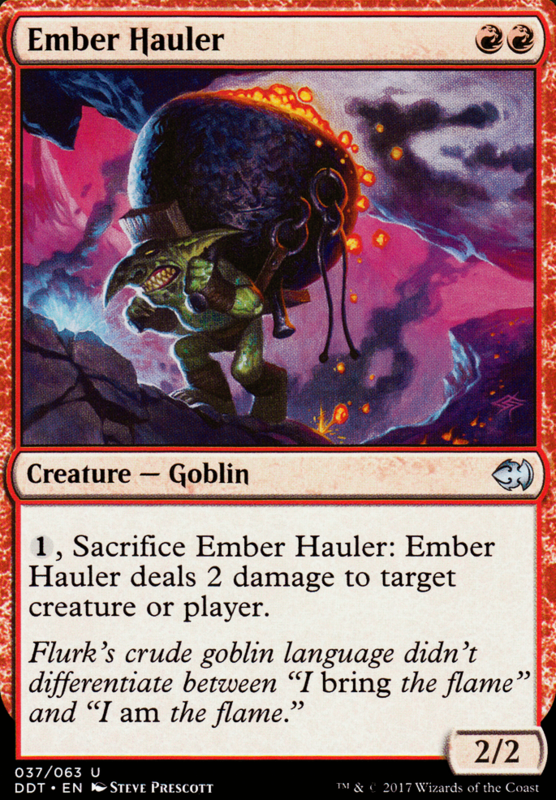 May I suggest Goblin Rabblemaster and/or Goblin Chieftain in place of Ember Hauler and/or Goblin Cohort? Both of these do better than Hauler/Cohort and both are mildly cheap. Nice deck! I definitely recommend handing Goblins to your friend, most people like to turn things sideways and that's what Goblins does. Instead of Mogg Fanatic and Ember Hauler, you can try Monastery Swiftspear or Kiln Fiend, since both can easily be buffed by your repeated burn spell casting. 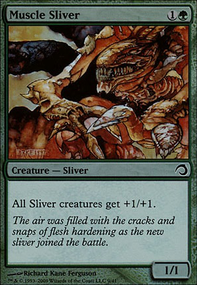 Lightning Strike can replace Needle Drop, since Lightning Strike is essentially a Bolt reprint. Lava Spike and maybe Skullcrack and Rift Bolt are almost like staples in burn decks. Yeah, I can see that. Budget permitting, you could also try running Abbot of Keral Keep, or if you wanna try something even weirder, add some Isochron Scepters for repeatable effects. I would say drop the Ember Haulers for the Abbot of Keral Keeps, and the Thunderbolts for the Isochron Scepters.